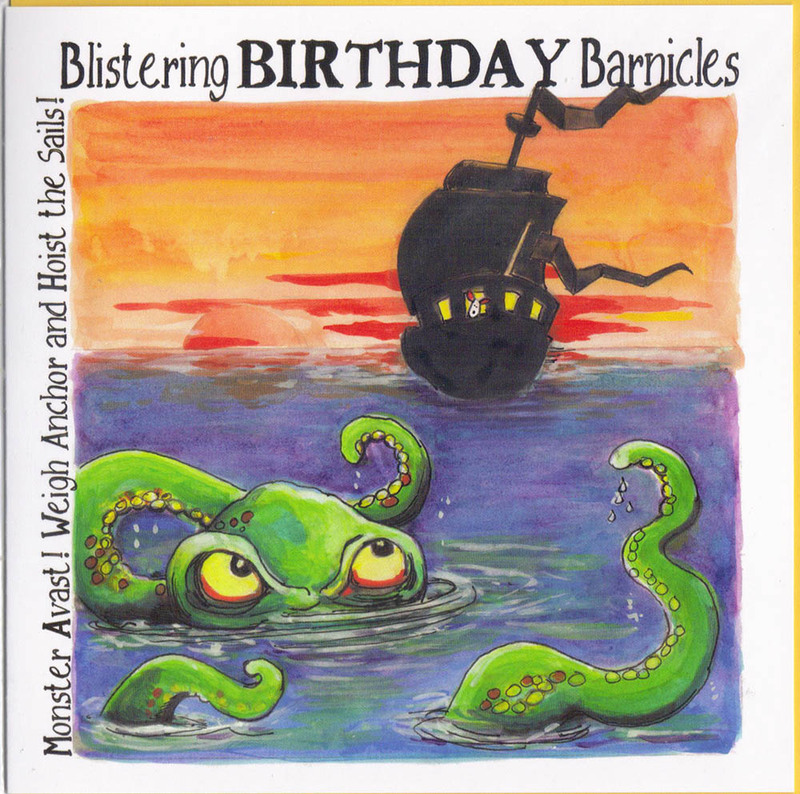 Home / Cornish Cards / Birthday Cards / BLISTERING BIRTHDAY BARNICLES! Monster avast! Weigh anchor and hoist the sails! Blistering Birthday barnicles.